Happy Monday, y’all! I hope you had a great weekend, avoided pinches, and drank a ton of green beer. Jeremy and I spent the day brewery hopping in Greenville followed by pizza at one of our favorite spots. Thank goodness for the carb loading because I was honestly shocked I was able to get up and get to work without much struggle this morning! Which is great because I have a ton to do this week, including finishing up my taxes (which are such a pleasure when you run your own business). But before I finish up, I wanted to share a few things with you. First of all, if you loved these super popular wedges last year but didn’t love the price tag then Target has come to the rescue. They duped the wedges in four colors for only $34! I already owned the Nordstrom pair in cognac, so I snagged the blush suede version for Spring. 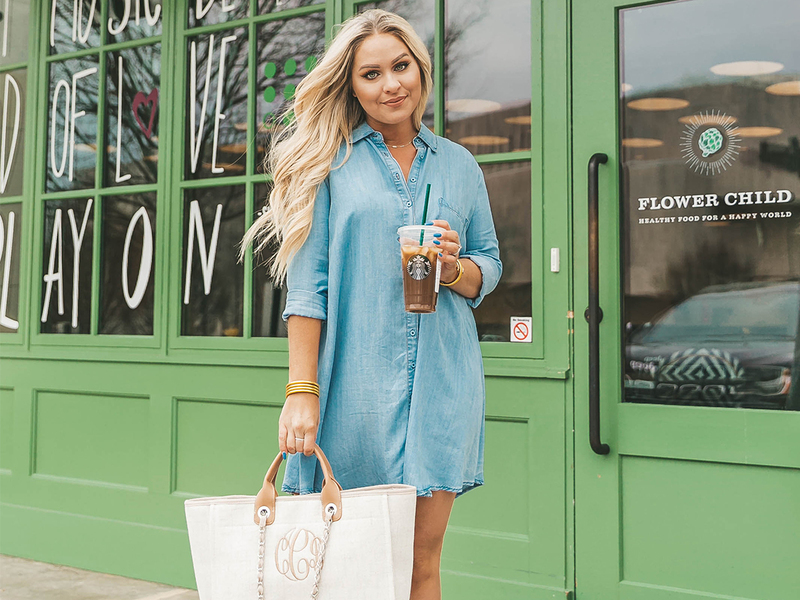 Onto this adorable monogrammed tote… I am thrilled that so many of y’all love it as much as I do! I have been using it as a work bag and just slip a Neverfull organizer I found on Amazon into it which works like a dream! 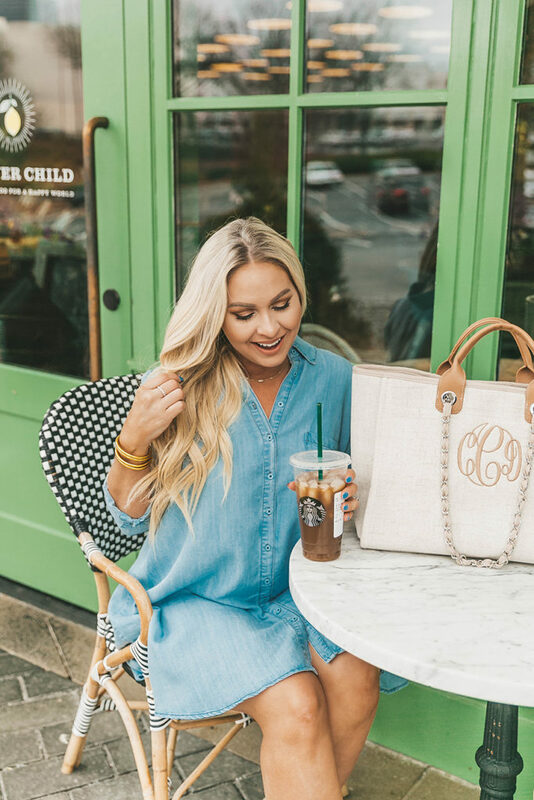 Well, I have had my eye on another bag from Shop I Love Jewelry – a Gucci leather backpack dupe – that’s been sold out forever. Good news, loves! It’s back in stock! You can use code cortney15 to get 15% off anything you purchased from SILJ 🙂 This is another favorite that I currently have in my cart. 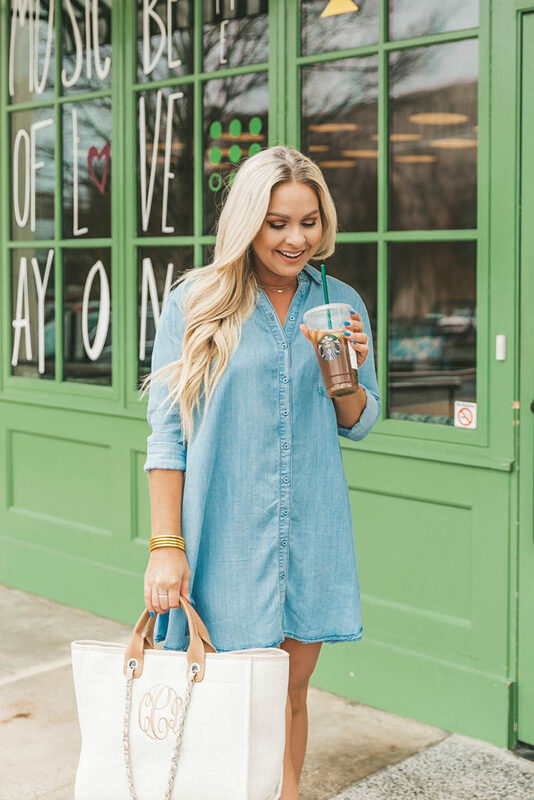 Last thing – this dress is starting to sell out and I didn’t want you guys to miss it because it is such a staple piece I can see myself wearing year-round. For sizing reference, I am size 5’4 and long-waisted and the length of the medium is great on me. I also stumbled upon this ruffled version that is available in all sizes and as sweet as can be!